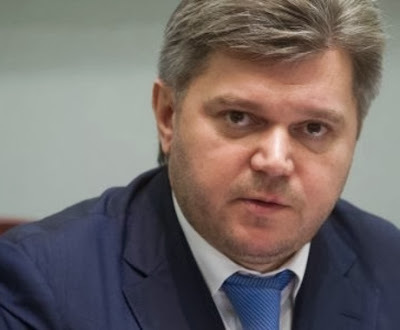 KIEV, Oct 30 (Reuters) - Ukraine's energy minister acknowledged on Wednesday the country may have fallen behind in payments for monthly supplies of Russian gas but said he expected the matter to be settled with Moscow very soon. Russian gas export monopoly Gazprom said on Tuesday Ukraine, which relies heavily on supplies of Russian gas, had failed to settle a $882 million bill for August deliveries and demanded it be paid urgently. The harsh language used by Gazprom and Russian Prime Minister Dmitry Medvedev evoked fears of a new "gas war" over prices between the two neighbours, similar to those in the winters of 2006 and 2009 which caused supplies to be disrupted not only to Ukraine but to the rest of Europe. "We have always paid up in dealings with our partners and we will pay this time as well...Occasionally there can be, of course, misunderstandings and issues over timing. So there have been slight delays in payments." Announcing a Naftogaz team was going to Moscow, he said he expected the matter to be settled "today, at the latest tomorrow". The new gas row with Russia has flared amid tension over Ukraine's plans to sign landmark agreements with the European Union on association and free trade next month - something which has dismayed its former Soviet master. "I hope our partners will act according to business interests and not according to political ones."